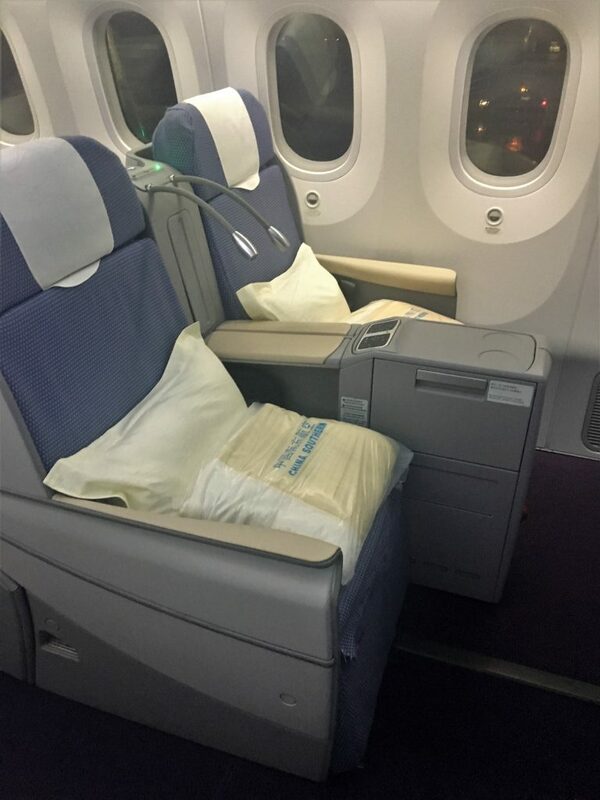 Reader mini review: China Southern B787 business class – great value & great service? I have often written about China Southern’s low prices out of the UK as they are usually the cheapest airline from the UK to Australia. I have never actually flown on them so other than stating the basics of the product it has been difficult to give a proper opinion. It is worth noting that although China Southern are currently part of Skyteam, they are due to leave by the end of 2019. It has been confirmed that Oneworld has spoken to China Southern about possibly joining their alliance, but at this point, it’s anybody’s guess whether they will join another alliance. 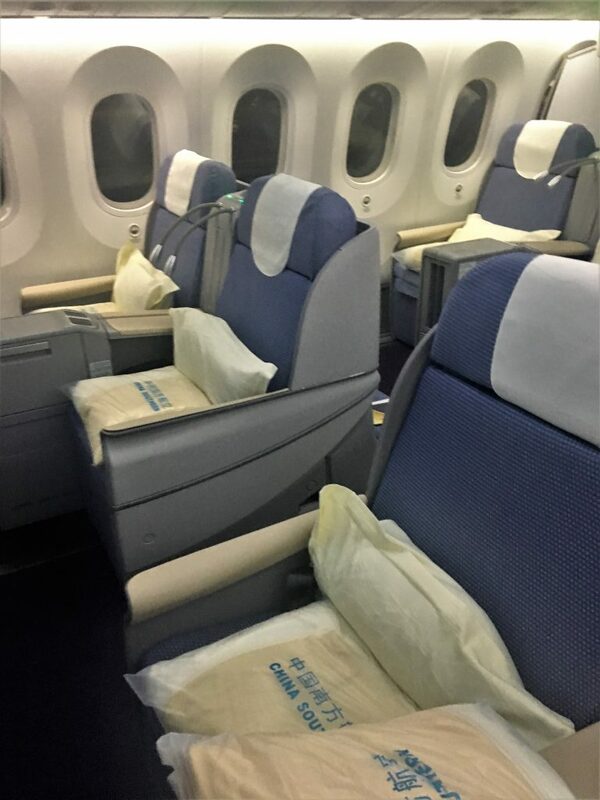 Longtime reader Carly C recently wrote in to share her experience on China Southern so I thought it would be worth sharing with you all. A big thanks to Carly…. I’ve been fortunate enough to have travelled a lot in the past 18 months or so, mainly to SE Asia and Australia. My first trip to Bali back in March of 2018, was magical but what made the holiday unforgettable was the journey with China Southern in their Business class cabin. Many people raised an eyebrow when I told them the carrier I was flying with, as they had never heard of them! OK granted, their hard product is not on par with the Middle Eastern airlines, but it was a great experience overall. What I wanted to highlight most about the flight is the quality of customer service and the attention to detail. Two words ABSOLUTELY INCREDIBLE! 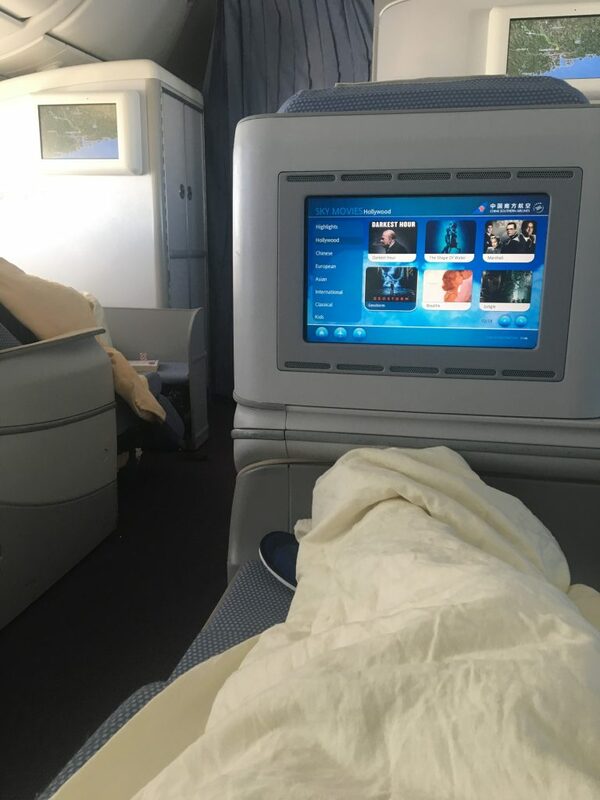 Unlike some airline who have too big business class cabins, which depersonalises the whole luxury class experience, China Southern have two small contained business class cabins. These are to the front of the aircraft behind the mini First Class cabin. As the business cabins were smaller in size and with nearly 1 cabin crew to 4 people, it felt like I was really in first class. Not ONCE did I have to call the cabin crew because they always seemed to know when I needed something… such as my bed made up, more water, a snack etc. and my glass was never empty be it wine or tea. I honestly felt like royalty! It’s also worth noting how comfy and wide the lie-flat bed was. The seat reclines 180 degrees into a comfortable fully flat bed. There is also an adjustable built-in seat reading lamp, a shelf for drinks, magazine rack and shoe storage. The inflight entertainment is on a 15-inch personal LCD TV. The crew even made my bed up, and there was no hesitation when I asked for an additional mattress topper. The onboard meal services were delicious and plentiful including the wonderful afternoon tea they served on the return leg to Heathrow. It was just a really fantastic experience. I was also greeted from the aircraft in Guangzhou and fast-tracked through immigration and security for my very tight connecting flight. The second leg of my flight was just as strong in terms of customer service. Although the second aircraft was not a lie-flat bed, the chairs were super lazy boy comfortable. 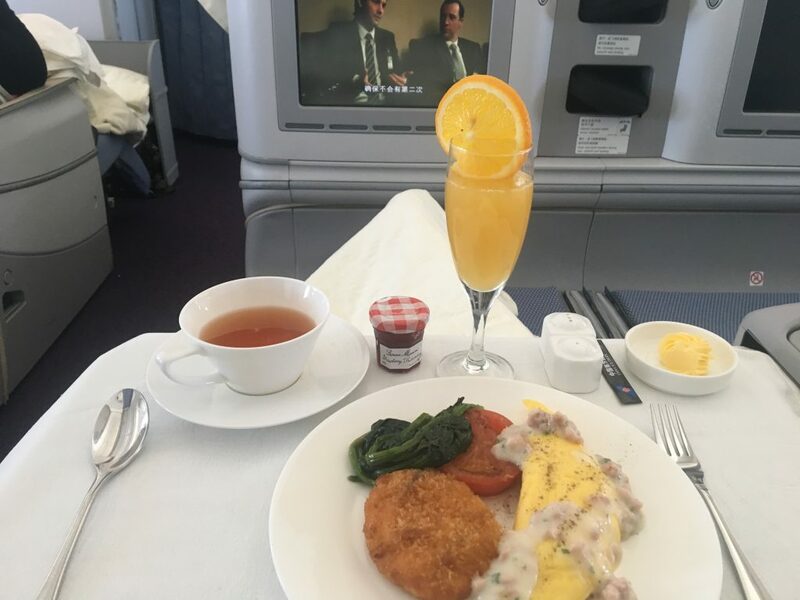 As it was just me and one other in business class, again the service was so personalised, and out of this world I was actually gutted when we landed in Denpasar as I loved every moment of the flight … to me, this is a sign of a fantastic flight. 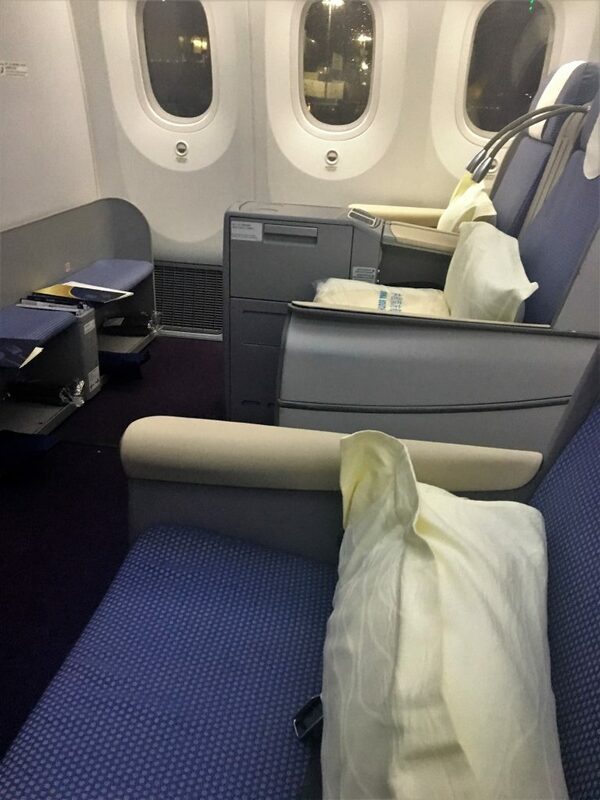 1 Comment on "Reader mini review: China Southern B787 business class – great value & great service?" Thanks for the really interesting review. Have wondered about using them before.